The information provided on this page is to foster cooperation between the Court and the media for coverage of trials and hearings under this Court’s jurisdiction. The High-Profile Cases page provides information on cases filed with the court that have received significant public and media attention. The judge presiding over a case is fully responsible for the trial in their courtroom and media present must comply with any terms specified. All questions that cannot be answered on this page may be directed to Press_Office@cfc.uscourts.gov or (202) 357-6643. Location: The Court of Federal Claims is located on Madison Place between Pennsylvania Avenue and H Street, NW, on the east side of Lafayette Square. A valid government-issued photo ID such as a driver’s license or US Passport is required to enter the courthouse. Unless otherwise directed by the court, the use of cell phones, laptops, electronic devices, iPads, e-books, recording devices, cameras, or any object that may interfere with court proceedings is not allowed in the courtroom. Please follow the Court’s guide on Courtroom Decorum. Court opinions may be retrieved using PACER. Information regarding transcripts can be found here. 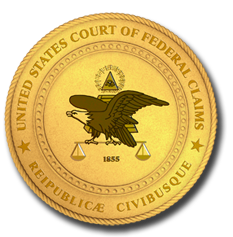 Local Rules for the Court of Federal Claims are modeled after the Federal Rules of Civil Procedure. The Administrative Office of the US Court has developed A Journalist’s Guide to the Federal Courts to introduce the media to the federal judicial system. Rules for Complaints against Judges and Judicial Disciplines are modeled after 28 U.S.C. §§ 351-364.